ATV pants are often waterproof. 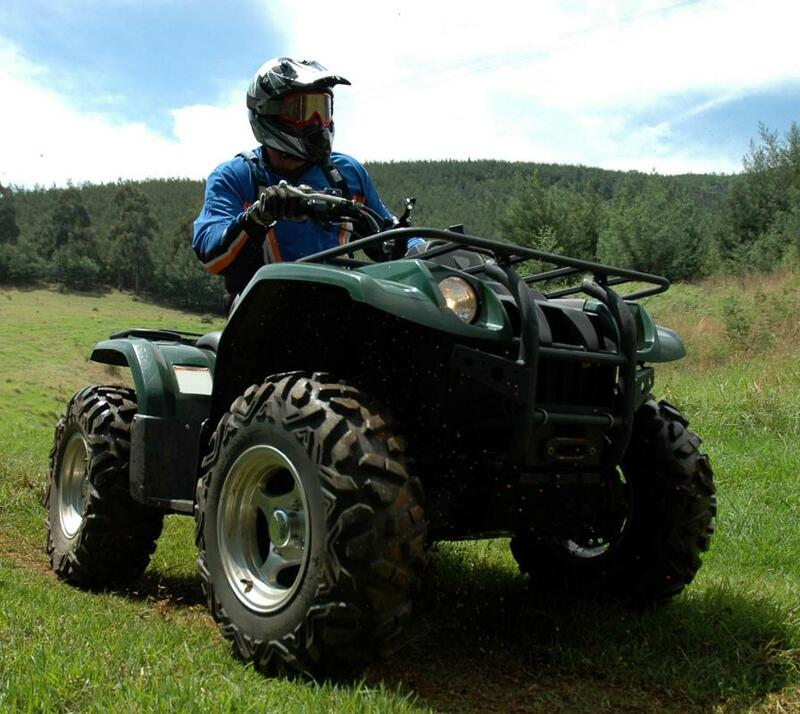 An all terrain vehicle, commonly called an ATV, is a recreational vehicle generally used to ride on trails, through fields, over sand dunes and just about anywhere else it will go. The rider of an ATV is often subjected to being hit and scratched by branches, rocks and other hazards. If the ATV tips over, not an uncommon occurrence, the rider may be hurt by gravel or sticks on the trail. ATV pants are pants made of tough material that help to protect the rider from injury. These pants are also typically worn by people who race their ATVs, as added protection from the hazards of the off-road racetrack. ATV pants come in a wide variety of sizes to fit both children and adults. They also come in many different styles and colors to make it easy to find something that is fun as well as practical. Often, the pants are part of a complete outfit that also includes a jacket, boots, helmet, gloves and protective pads. .
Another feature of some types of ATV pants is that they are usually waterproof. This is a useful attribute for riders who enjoy going out in all kinds of weather. It is also helpful to have waterproof pants if the ATV is running through puddles, across creeks and along muddy roads. These will help keep a rider comfortable for long periods and are a style preferred by many. It is quite common for ATV pants to have pads built into the design of the garment. Shin guards are one of the most common types of protection, but pads covering the hip area are also often used. The fabric is tough and tear-resistant so that riding through heavy brush or falling in races won’t damage the pants. The stiff plastic pads can normally be removed from ATV pants so that the pants can more easily be washed. In most cases there are large pockets that hold the pads, secured by zippers, Velcro® closures or elastic. That keeps the pads from being dislodged during long periods of active riding and ensures they are where they need to be to protect the rider. There are many different manufacturers of ATV riding pants. They offer some differences in fabric selection and design, but the main difference between them often comes down to style and price. Some pants are fairly plain and basic, which others have well-known logos and designs to make them more attractive to some people. How Do I Choose the Best ATV Helmet? What Are the Different Types of ATV Boots? What Is an ATV Cover? What Are the Different Types of ATV Supplies? What Are the Different Types of ATV Riding Apparel? What Are the Different Types of ATV Gloves? What are the Best Tips for Quad Biking?